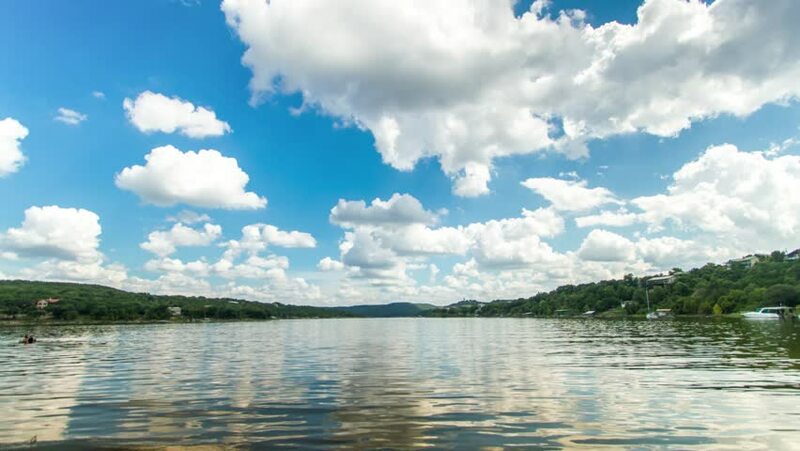 A time lapse video at Jones Brothers Park in Jonestown, Texas, of the Sandy Creek Arm of Lake Travis. This lake was completely dry just a couple of years ago because of the drought. 4k00:25a forest lake under a blue sky with clouds. 4k00:154K Time lapse of beautiful landscape and moving clouds over calm lake, Camera pan. hd00:14Summer lanscape with lake, forest and white clouds on the blue sky, timelapse.